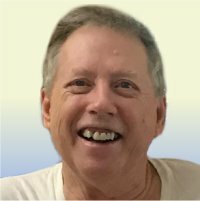 Arnold August “June” Kreke, 73, of Caseyville, Illinois, born Sunday, July 1, 1945, in Tallahassee, FL, passed away Thursday, February 7, 2019 at in Caseyville, Illinois. Arnold worked in Maintence for St. Catherine’s Laboure Catholic School – Cahokia, IL, Rogers Cartage Company in Sauget and retired from the Belleville Walmart. He was a former member of the Moose Lodge #4 Caseyville, IL, a member of the Caseyville Garden Club and Southside Park. He was a United States Vietnam War Army Veteran. Memorials: Memorials may be made to the Wounded Warriors. Visitation: Visitation from 3:00 pm – 7:00 pm, Thursday, February 14, 2019 at Kurrus Funeral Home in Belleville, Illinois. A short Vigil will be held at 6pm with Eddie Witt officiating. Funeral: Funeral procession will leave Kurrus Funeral Home at 9:15 am on Friday February 15, 2019 for a graveside service at 10:00 am at Jefferson Barracks National Cemetery with Military Honors. Deepest Condolences to the Kreke family. I teared up when I read he survived Vietnam. God Bless him & may he now Rest in Peace. May Arnold rest in peace. We will miss his wonderful smile and kind conversation around town. As Arnold’s neighbor across the street, I was saddened to hear of his passing. Since the weather had been so bad, I missed seeing him in his motorized wheel chair. My mother, Evelyn Anderson, worked with Arnold’s dad at Caseyville Grade School . I’m so sorry I wont be able to pay my regrets. I was diagnosed with cancer on June 1. The radiation and chemo has me at home, except for treatments. I will miss seeing the lights on in the blue house, with the beautiful , new garage.